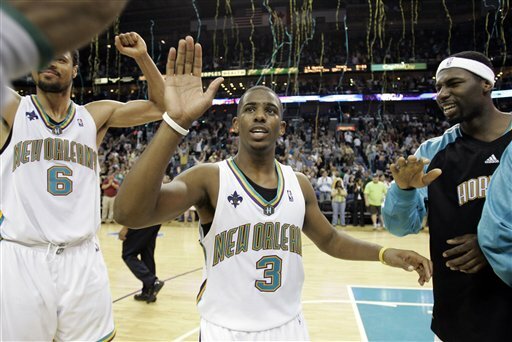 With the major move of Carmelo to New York and Deron Williams to New Jersey, could Chris Paul (pictured above) be next? Our very own Wesley Kaminsky touches on the current state of the NBA. 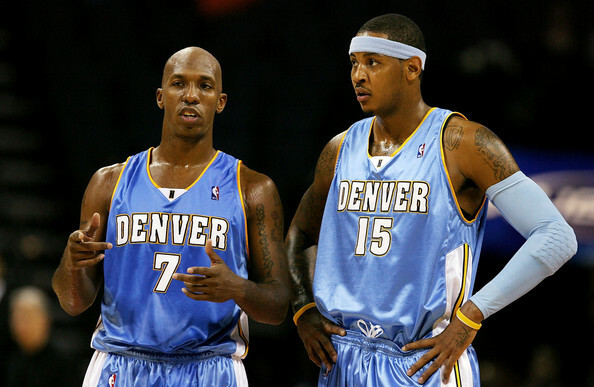 In the big news of the day, the New York Knicks just added the likes of Chauncey Billups (left), Carmelo Anthony (right), and others to their team. New York appears to finally be relevant again for the first time since the Ewing days. “You had me at Melo.” That is what the whole city of New York is saying today in light of recent developments where their beloved Knickerbockers picked up scoring machine, Carmelo Anthony. The former Syracuse star is finally heading to play in the Mecca. Its about time. There is so much going on in the sporting world. There is so much to talk about. So lets jump right into the day’s main headlines. 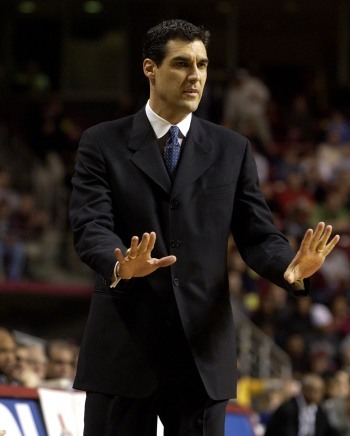 We have an amazing week of College Basketball ahead and I foresee Jay Wright (pictured above) leading his Villanova squad to 2 major victories. Expect Nova to be in the top 10 come Monday. 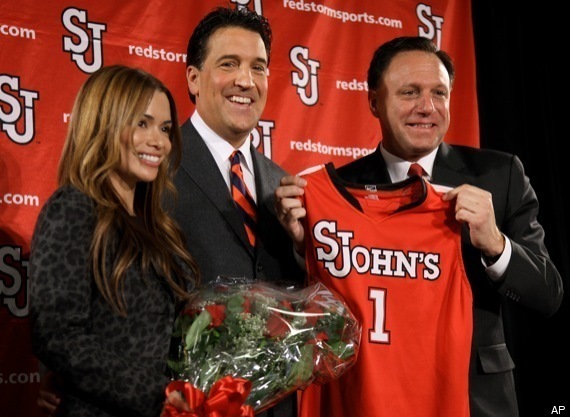 Steve Lavin's arrival in New York appears to be a match made in heaven. Can he bring the St. John's program it's first National Championship? 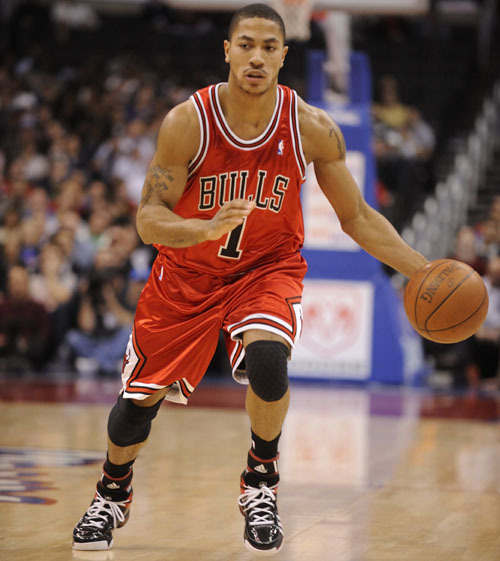 Derrick Rose (pictured above) is making a strong case for the League MVP Award. The 22-year-old can do it all and is definitely the real deal. The Chicago Bulls are dangerous. Forget all the noise about Melo or any other trade rumors. It is extremely unnecessary. All the talk in the East begins in Boston and ends in Miami (or vice versa). The Bulls are just fine with that. In a first half where they dealt with major injuries to Carlos Boozer, Joakim Noah, and others, they are still 22 games above 500 heading into the break. They have won 4 straight games and are dangerous. I had the Bulls as my sleeper pick in the East in my NBA Preseason Preview back in October, but if I had known the Bulls were going to sustain injuries to stars Joakim Noah and Carlos Boozer, I would have had this team struggling to even be in the playoff picture. I would have been wrong. It all comes down to one guy. This guy has done it all in the first half. 25 points a night to go with over 8 assists. The numbers don’t lie. But the stats do not possibly demonstrate all that this guy does on a given night. Ever seen lightning strike? If you live in Chicago you see it every night. The kid flat-out flies around the court. Watching him get up and down the floor is a thing of pure beauty. The point guard is arguably the most important position on the floor at any level of organized basketball. Your PG is your general. Your floor leader. And a point guard who can penetrate, shoot from the perimeter, and dish out dimes is impossible to defend. Derrick Rose has become nearly impossible to stop. Just ask San Antonio about the joys of playing defense against Mr. Rose. The 22-year-old went off. 42 points, 8 assists, and just 1 turnover. Rose made it look easy against the team that sports the best record in the League. Now is Derrick the MVP of the first half of the season? There is definitely an argument. Most of the other candidates are members of teams that have other stars. Lebron and D Wade have each other in MIA. Durant has Westbrook in Oklahoma City. Kobe has Pau in Los Angeles. And I could go on. It will be an intriguing 2nd half in regards to the NBA MVP award. All I know is that Chicago is a team to be reckoned with and Derrick Rose is without question the real deal.